Fifty reservists express opposition to the Israeli military apparatus, the war in Gaza and the conscription law. July 24, 2014 Whenever the Israeli army drafts the reserves—which are made up of ex-soldiers—there are dissenters, resisters, and AWOLers among the troops called to war. Now that Israel has sent troops to Gaza again and reserves are being summoned to service, dozens are refusing to take part. It seems the Reservists website has been taken down, so I am posting the entire article here. 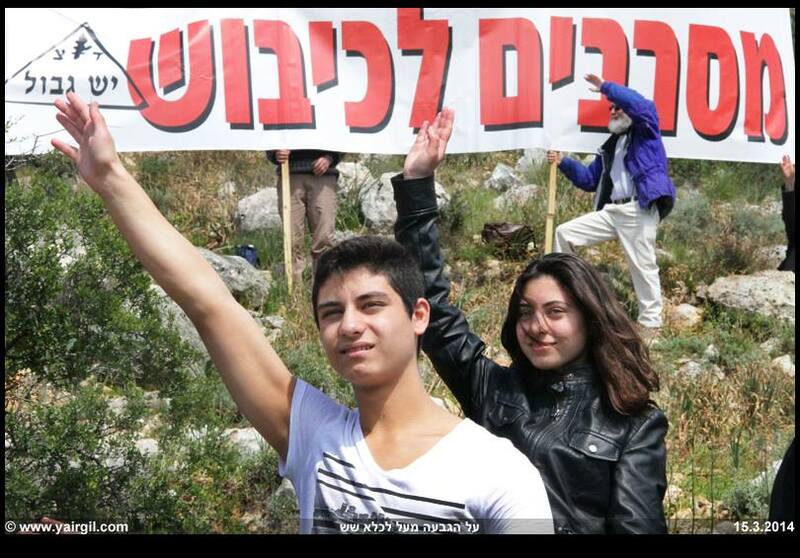 We are more than 50 Israelis who were once soldiers and now declare our refusal to be part of the reserves. We oppose the Israeli Army and the conscription law. Partly, that’s because we revile the current military operation. But most of the signers below are women and would not have fought in combat. For us, the army is flawed for reasons far broader than “Operation Protective Edge,” or even the occupation. We rue the militarization of Israel and the army’s discriminatory policies. One example is the way women are often relegated to low-ranking secretarial positions. Another is the screening system that discriminates against Mizrachi (Jews whose families originate in Arab countries) by keeping them from being fairly represented inside the army’s most prestigious units. In Israeli society, one’s unit and position determine much of one’s professional path in the civilian afterlife. To us, the current military operation and the way militarization affects Israeli society are inseparable. In Israel, war is not merely politics by other means—it replaces politics. Israel is no longer able to think about a solution to a political conflict except in terms of physical might; no wonder it is prone to never-ending cycles of mortal violence. And when the cannons fire, no criticism may be heard. We were soldiers in a wide variety of units and positions in the Israeli military—a fact we now regret, because, in our service, we found that troops who operate in the occupied territories aren’t the only ones enforcing the mechanisms of control over Palestinian lives. In truth, the entire military is implicated. For that reason, we now refuse to participate in our reserve duties, and we support all those who resist being called to service. The Israeli Army, a fundamental part of Israelis’ lives, is also the power that rules over the Palestinians living in the territories occupied in 1967. As long as it exists in its current structure, its language and mindset control us: We divide the world into good and evil according to the military’s categories; the military serves as the leading authority on who is valued more and who less in society—who is more responsible for the occupation, who is allowed to vocalize their resistance to it and who isn’t, and how they are allowed to do it. The military plays a central role in every action plan and proposal discussed in the national conversation, which explains the absence of any real argument about non-military solutions to the conflicts Israel has been locked in with its neighbors. The Palestinian residents of the West Bank and Gaza Strip are deprived of civil rights and human rights. They live under a different legal system from their Jewish neighbors. This is not exclusively the fault of soldiers who operate in these territories. Those troops are, therefore, not the only ones obligated to refuse. Many of us served in logistical and bureaucratic support roles; there, we found that the entire military helps implement the oppression of the Palestinians. Many soldiers who serve in non-combat roles decline to resist because they believe their actions, often routine and banal, are remote from the violent results elsewhere. And actions that aren’t banal—for example, decisions about the life or death of Palestinians made in offices many kilometers away from the West Bank—are classified, and so it’s difficult to have a public debate about them. Unfortunately, we did not always refuse to perform the tasks we were charged with, and in that way we, too, contributed to the violent actions of the military. During our time in the army, we witnessed (or participated in) the military’s discriminatory behavior: the structural discrimination against women, which begins with the initial screening and assignment of roles; the sexual harassment that was a daily reality for some of us; the immigration absorption centers that depend on uniformed military assistance. Some of us also saw firsthand how the bureaucracy deliberately funnels technical students into technical positions, without giving them the opportunity to serve in other roles. We were placed into training courses among people who looked and sounded like us, rather than the mixing and socializing that the army claims to do. The military tries to present itself as an institution that enables social mobility—a stepping-stone into Israeli society. In reality, it perpetuates segregation. We believe it is not accidental that those who come from middle- and high- income families land in elite intelligence units, and from there often go to work for high-paying technology companies. We think it is not accidental that when soldiers from a firearm maintenance or quartermaster unit desert or leave the military, often driven by the need to financially support their families, they are called “draft-dodgers.” The military enshrines an image of the “good Israeli,” who in reality derives his power by subjugating others. The central place of the military in Israeli society, and this ideal image it creates, work together to erase the cultures and struggles of the Mizrachi, Ethiopians, Palestinians, Russians, Druze, the Ultra-Orthodox, Bedouins, and women. We all participated, on one level or another, in this ideology and took part in the game of the “good Israeli” that serves the military loyally. Mostly our service did advance our positions in universities and the labor market. We made connections and benefited from the warm embrace of the Israeli consensus. But for the above reasons, these benefits were not worth the costs. By law, some of us are still registered as part of the reserved forces (others have managed to win exemptions or have been granted them upon their release), and the military keeps our names and personal information, as well as the legal option to order us to “service.” But we will not participate—in any way. There are many reasons people refuse to serve in the Israeli Army. Even we have differences in background and motivation about why we’ve written this letter. Nevertheless, against attacks on those who resist conscription, we support the resisters: the high school students who wrote a refusal declaration letter, the Ultra orthodox protesting the new conscription law, the Druze refusers, and all those whose conscience, personal situation, or economic well-being do not allow them to serve. Under the guise of a conversation about equality, these people are forced to pay the price. No more. The petition for Israeli soldiers and reservists is located at Lo-Meshartot.org.